You just landed your dream job in the healthcare world. Go you! You're ready to walk through the doors and begin changing the world, but first you need to get yourself professionally prepared. You can do this by ordering a pair of these WonderWink Women's 5026 BLK ... (see full details) (see specifications) #5026-BLK. You just landed your dream job in the healthcare world. Go you! You're ready to walk through the doors and begin changing the world, but first you need to get yourself professionally prepared. You can do this by ordering a pair of these WonderWink Women's 5026 BLK Romeo Black Scrub Bottoms. These women's work scrubs are soft, comfortable, durable, and ready to assist you in the work field. You'll wear these WonderWink scrubs often because you want to, not because you have to! One thing that makes these WonderWink Romeo scrub bottoms so unbelievably comfortable is their unique build. These women's black bottoms are designed with 65% polyester and 35% cotton. The durable polyester fabric is durable and offers a sleek finish to the WonderWink pants. This rugged fabric helps fight against wear and tear on the job. The brushed cotton fabric is lightweight and breathable. It delivers soft, easy comfort. Better yet, this combination of materials is easy to wash and care for, too. These WonderWink scrubs can be mixed in with your regular laundry load and ready to wear again without looking wrinkly or ruined. You've got enough things to worry about - don't let your women's workwear be one of those things. Big and baggy just isn’t your style, and we don’t blame you! You want a fit that feels nice and flatters your shape, right? These WonderWink Romeo scrub pants are ideal for you. They're made with WonderWink’s “lady” fit design, which means that are specifically built to fit you. They'll hug the right areas while offering a fit that feels comfortable for all-day wear. The 1/2-inch elastic waistband and flare leg design offers a better fit and feel as well. The flare leg design is used to make sure that the women's pants will fit nicely over your work shoes. If you're a worker who's constantly trying to find misplaced work equipment or personal items, you'll love these WonderWink scrub bottoms! These work pants are built with six pockets that can securely store all your stuff. You can put your cell phone, writing utensils, pager (Hey, some of us out there are old school! ), or any other necessary work equipment in these pockets to ensure they stay within your reach. These Romeo black pants also feature a signature I.D. bungee loop that can hold your key card or I.D. badge. These Romeo women's scrubs come in a sleek black color. This color is perfect for looking both professional and stylish. Plus, the black will match with a variety of scrub tops. 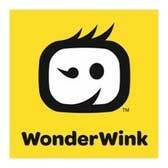 If you're looking for something new, check out our WonderWink collection! These black pants feature a convertible drawstring that can be tucked inside or displayed outside the design - the choice is yours. Walk into your new job with a pair of comfortable and reliable scrub bottoms! Add these WonderWink Women's 5026 BLK Romeo Black Scrub Bottoms to your cart now, place your order with us, and Working Person’s Store will handle the rest. WonderWink Scrubs: Women's 5026 BLK Romeo Black Scrub Bottoms is being added to your cart.